Home / News / Pawan Kalyan to team up with Lion director? Pawan Kalyan to team up with Lion director? Pawan Kalyan, Dasari Narayana Rao's film has been announced a while back, and the latest news we hear is that director Satyadev may don the director cap for the film. Satyadev has earlier directed Bala Krishna’s Lion, but the film resulted as a flop at the box-office. 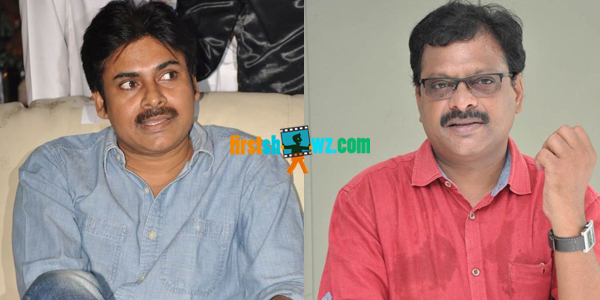 However, that is not stopping Pawan Kalyan or Dasari in giving a chance to Satyadev. The Lion film director has informed that the story discussions are in progress. More details of the film are awaited. Pawan Kalyan for now is busy with the shooting schedules of Sardaar Gabbar Singh in KS Ravindra direction under Eros distribution with Kajal Agarwal as heroine. The film is slated for April release, and meanwhile Pawan Kalyan is also expected to team up with director SJ Surya for a new film. Stick to this space on firstshowz.com for more updates of Tollywood Cinema.